At this year's OpenWorld conference, Oracle presented an array of AI-powered tools across its increased cloud-based offerings that will undoubtedly benefit many businesses. Oracle OpenWorld in San Francisco, is one of the biggest tech conferences in the industry. With over 23000 attendees, at this year's conference, Oracle had plenty of news to share in the use of AI in Cloud Applications and entirely new security scheme run by robots along with a new blockchain cloud service. Oracle challenged Amazon AWS as it Revolutionizes Cloud with the World's First Self-Driving Database. 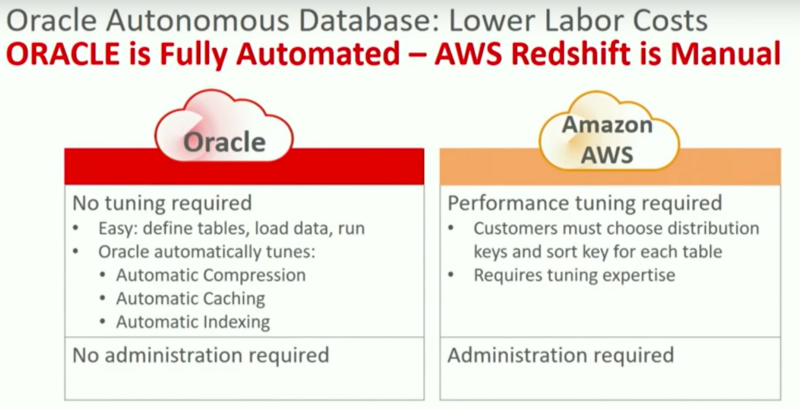 Oracle presented its new Oracle 18c 'autonomous' database and numerous new offerings and enhancements to its cloud suite. Fully automated patching, upgrades, backups, no downtime for maintenance, updates, upgrades, all of it without the need for human intervention. It is clear that Oracle is serious about becoming a leader in the industry and a formidable competitor against Amazon Web Services (AWS). Oracle added AI development service to its platform offerings. Jumping on the AI and Machine Learning trend, Oracle announced an expansion of its Mobile Cloud Portfoliowith new AI-powered chatbot capabilities that automate customer interactions at scale and help businesses to understand their customer's needs better. Furthermore, Oracle announced the launch of its AI Platform Cloud Service which offers a complete AI development environment for developers, and on the second day, Oracle introduced 'Adaptive Intelligent Apps,' which has added machine learning and AI capabilities to Oracle's existing SaaS, PaaS and IoT services. The new 'Blockchain Cloud Service' is an enterprise-grade platform from Oracle's platform-as-a-service (PaaS) portfolio. Oracle used Xeon Scalable processors (a set of hardware-based features) designed to enhance blockchain security and performance, particularly in cryptographic hashing. This platform allows enterprises to reduce cost and risk, speed up transactions across partner ecosystem, thus accelerating revenue, and creating new revenue streams. 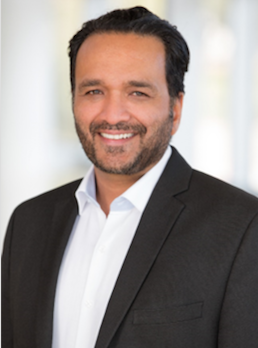 Oberoi, VP, IoT & Big Data Applications, Oracle. Oracle and SoftClouds Transforming the Automotive industry with Intelligent Cloud Applications. Automotive Cloud Experts Balaji Ramachandran, (CEO, SoftClouds) Murali Varmaraja, Jacob Hayden, and Ken Swarm, lead a discussion panel about transforming Automotive Dealer and Partner Channels with Intelligent Cloud Applications. Oracle presented its newest transformational solutions in the high tech, manufacturing, and automotive industries, and shared customer success stories about harnessing the power of data and delivering sales based on powerful insights while using the power of mobile to better engage with their customers and partners. In conclusion, Oracle OpenWorld remains the industry's most important business and technology conference. 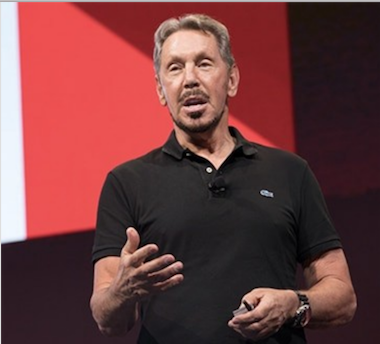 The most emphasis was on the new Oracle 18c 'autonomous' database, a more reliable, more automated, more secure and much cheaper, compared to its competition according to CTO Larry Ellison. Additional Oracle AI-based services announced: Oracle Autonomous Database Cloud, Oracle Analytics Cloud, Oracle Security and Management Cloud. How will Oracle's roadmap of innovation proceed from here? We will have to wait for next years Oracle Open World 2018 to see the outcomes and how customers will respond. This blog was written by Marija Dimitrova, Marketing Manager at SoftClouds. Marija has over 5 years of product marketing experience with a track record of mastering technical markets and products. Her expertise includes Product Management, Product Marketing Management, Content Writing, Search Engine Optimization, Web Development and Web Design, Graphic Design, UX and UI Design. She is passionate about the future of CX, IoT and Cybersecurity.